U.S. Secretary of State Mike Pompeo called on Russia to "cease its unconstructive behavior" by supporting Venezuelan President Nicolas Maduro during a phone call with his Russian counterpart, the State Department said on Monday. Spokesman Robert Palladino said Pompeo had spoken to Russian Foreign Minister Sergei Lavrov about Venezuela on Monday. U.S. Secretary of State Mike Pompeo described Venezuela's government under President Nicolas Maduro as illegitimate on Saturday and said the United States would work with like-minded countries in Latin America to restore democracy there. 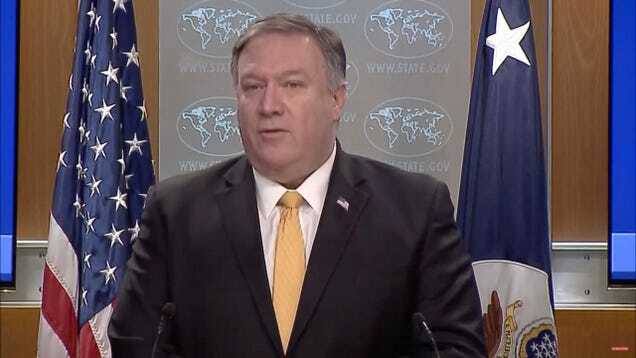 "The Maduro regime is illegitimate and the United States will work diligently to restore a real democracy to that country," Pompeo told reporters in Abu Dhabi, where he is on a tour of Middle East countries.